Jung Sook Kim Mathieu, 81, of Kansas City, MO, passed away July 18, 2018 at Oxford Grand Memory Care. Visitation will be held from 10-11AM, Monday, July 23, 2018 at Park Lawn Northland Chapel, 1640 North State Route 291, Liberty, MO. Committal services will follow at 12Noon at the Missouri Veterans Cemetery, Higginsville, MO. Jung was born in Yongsan-Dong, Kaisung City, Korea, the daughter of Dong Ki Kim and Shi Moon. She grew up in Korea and was a Korean War survivor. Jung met her husband Floyd Mathieu, Jr. in Korea while he was serving in the U.S. Army in Korea from 1958 to 1961. Along with her parents, Jung was preceded in death by her husband Floyd and her granddaughter Sadie Duncan. 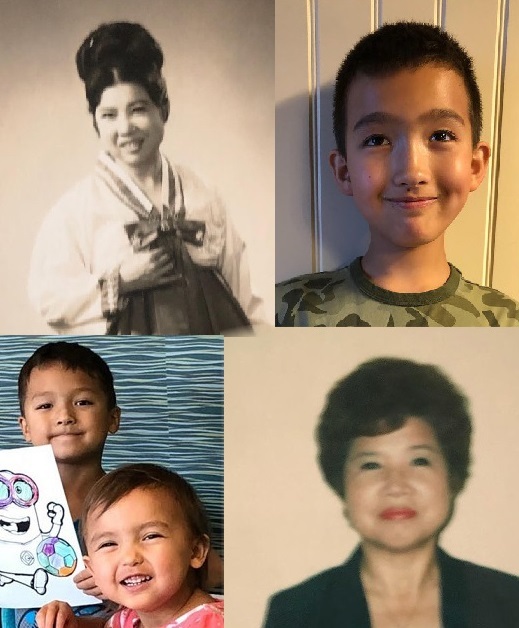 Jung is survived by her daughter Debbie Duncan and her husband Matt; grandchildren Johnny, Brody and Kinsey; as well as numerous nieces, nephews and family members in Korea.